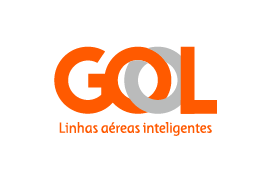 GOL Linhas Aéreas Inteligentes is the largest low-cost airline in Latin America, with a primary hub in São Paulo Congonhas Airport and bases in Rio de Janeiro International Airport and Brasilia International Airport. GOL flies a young, spacious, modern fleet of Boeing 737-700 and 737-800 next-generation aircraft to an extensive network of more than 60 destinations across seven countries in South America and the Caribbean. Find out moreFind out moreOpens an external website in a new tab. Earn Skywards Miles when you fly with GOL and redeem Miles for reward flights. Connect seamlessly across their network of more than 60 destinations in seven countries across South America and the Caribbean. What’s more, our new codeshare partnership* with GOL gives you the simplicity of purchasing connecting flights on both airlines using one reservation and a seamless ticketing, check-in, boarding, and baggage-check experience during your entire journey. What’s more, our new codeshare partnership with GOL gives you the simplicity of purchasing connecting flights on both airlines using one reservation and a seamless ticketing, check-in, boarding, and baggage-check experience during your entire journey. Earn Skywards Miles on all international and domestic flights operated and marketed by GOL, whether you choose one-way or round-trip flights. You won’t earn Miles on bookings in the following GOL subclasses: G, H, I, K, M, O, Q, R, S, V, X, and Z. Book reward flights with GOL using your Skywards Miles. Choose one-way or round-trip in Economy Class or GOL Premium. By clicking on the link below, you can download a PDF that will tell you how many Miles you’ll need for a one-way reward flight. You can use your Miles for travel in either direction between the cities listed; you’ll need twice as many Miles for a return flight. Codeshare flights operated by airlines other than GOL are not eligible to earn Miles. Code share flight ranges are: (G3 5000–5299), (G3 5500–5602) (G3 6000–6599), (G3 6900–6999), (G3 8000–8694) and (G3 8800–8999). The following GOL subclasses are not eligible to earn Skywards Miles: G, H, I, K, M, O, Q, R, S, V, X, and Z. Miles cannot be earned on the following flights and ticket types: Charter flights (G3 9320–9739), Ferry flights (G3 9780–9989), Service flights (G3 9990–9999), Group Inclusive Tour (GIT), Inclusive Individual Fare (IIT), reward tickets, industry, agency discount tickets, and free ticket promotions. You can redeem Skywards Miles for GOL flights in Economy and GOL Premium Class. Reward tickets are not valid on codeshare flights operated by any carrier other than GOL. Miles can only be redeemed for reward bookings on GOL in the following subclasses: X in Economy Class and I in GOL Premium Class. GOL flights must be confirmed at the time of mileage redemption. Waitlists are not permitted. To make flight or date changes before departure, contact your nearest Emirates office. Baggage allowance is 23 kg for Economy Class and 32 kg for GOL Premium Class. Please refer to the GOL website for more details. Refunds on partially utilized tickets are not permitted. Date change is permitted at a charge of US$25 per person. A rush reward fee of US$75 applies for bookings made within 24 hours of outbound travel.